[H] Legion invades Silvermoon Ruins! Shadows from the Venomspine Pariahs have infiltrated a secret cabal of warlocks allied with the Legion. 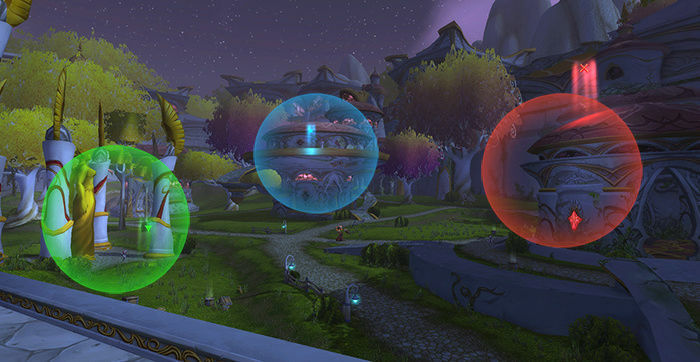 These warlocks are planning to open a rift in space over the ruins of Silvermoon, to flood the city with demons, monsters and other nastiness. 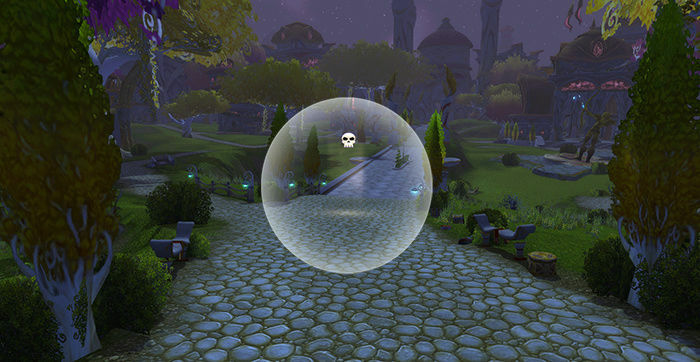 Are YOU man or woman enough to stop the Legion's advance and save Silvermoon? The invasion begins at 20:00 on Sunday the 14th, and all are welcome! The event will be using the Venomspine Pariahs' "Invasion" system, the rules of which are posted below. If you want to be added to the calendar entry, whisper Celesse or Warwíck in-game. PLEASE NOTE: the Invasion system needs three players to act as FORCE COMMANDERS, whose job it is to help direct the defending forces. One commander spot has been reserved, which means that we need TWO of you guys to act as force commanders! If any of you out there feel like you would be the very model of a modern major-general, you should volunteer to be one of the three force commanders - but do it quickly, before the spots have been taken! Re: [H] Legion invades Silvermoon Ruins! In this event type, you are either a FORCE COMMANDER or part of the STRIKE TEAM. You will be defending a sector with a starting force defined by the raid leader (say 20 soldiers). You do not control your own actions, but rather the actions of your force of soldiers. You are under constant attack. Each turn, you will be asked to roll 50 to avoid losing 1 soldier to the attackers. Sometimes, an enemy CHAMPION will show up in your sector. If this happens, each turn you will be asked to roll 50 to avoid losing 4 soldiers to the attackers. If you roll 50, you will still lose 1 soldier. If there is a champion or a special objective in your sector, you will be given a chance to attack these when the raid leader tells you to. You will be assisting the FORCE COMMANDERS in defending their sectors. Sometimes, an enemy CHAMPION will show up in one of the sectors. If this happens, you can enter the relevant sector to fight the CHAMPION in a /roll battle. The strike team can relocate at any time. Sometimes, a SPECIAL EVENT will occur. In this case, the strike team has a quick window of time to deal with the event. Special events are unique, and the rules will be explained as they arise. If you reach zero health, or you choose to return to the HQ, you can stay in the HQ to regain 1 hp per turn. You may leave the HQ once you have at least 3 hp. If the enemy breaks through the force commanders' defences and reaches the HQ, all soldiers will fall back to defend the HQ. All participants should fall back to help defend the HQ against the enemy's FINAL CHAMPION in a /roll battle. Force commanders can participate in the /roll battle normally, as their troops will have deserted them. Co-host here! We're willing to answer any questions you might have regarding this event or the battle system. I assure you that it's not as complicated as it looks, when you get the hang of things. As there's no viable map of the Ruins of Silvermoon available, I took some screenshots of the area we're using. The three locations on the first picture are the sections where each Force Commander will lead their troops, as well as the borders for the area in which the Strike Team will move around. The second picture is the location of the HQ, where the Strike Team is able to heal themselves during the rounds, as well as the location for the possible Final Champion fight, should one of the Force Commanders' army fall to 0 hp. Was only able to take one, or rather... Reminded my self to take one screen shot. A very well run event, lots of fun, a tad confusing at the start as it was the first time many had experienced that level of DM'd event but as it went on the confusion subsided and people immersed themselves in the scenario.